Elite are delighted to offer to the market this immaculate Range Rover Evoque 2.2 SD4 Dynamic Finished in Santorini Black with full Land Rover Service History and 40000 miles on the clock! 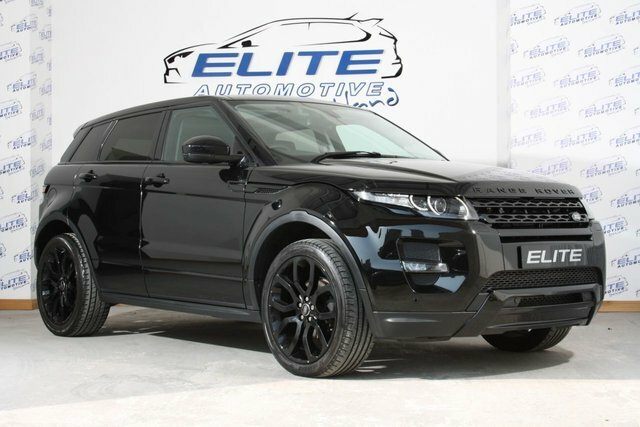 This car has an amazing spec which includes: Detachable Tow Bar, Panoramic Roof, Power Tailgate, Black Styling Pack and Upgraded Rear Spoiler. These options coupled with Full Electric Leather Interior, Sat Nav with Parking Camera, Meridian Sound System make for a truly stunning SUV - CALL TODAY TO ARRANGE A TEST DRIVE!! ALL OUR CARS ARE HAND PICKED AND HPI CLEAR ENSURING COMPLETE CUSTOMER SATISFACTION WE ONLY SELL CARS WE WOULD DRIVE OURSELVES! !